Research tools to understand opinions and decisions made by the public in the case of events such as elections. How to create Voting Polls? 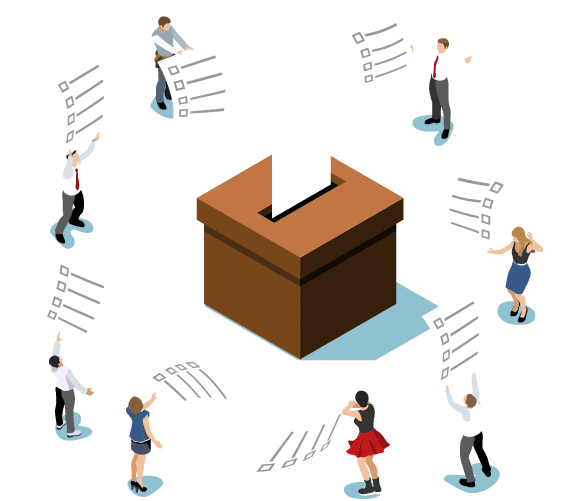 Voting polls are research tools to understand opinions and decisions made by the public in the case of events such as elections. These polls are conducted with a randomly selected sample within the target population that would be influential in generalizing the opinion received to the entire population. Voting polls gained popularity in 1824 where straw polls were conducted for the United States Presidency and ever since then these type of polls became extremely sought-after. They have evolved from face-to-face mediums to the medium of telecommunications and now to the medium of internet. Opinions and feedbacks that are usually ignored gain attention when collected using voting polls. These polls consist of a single, multiple-choice question that would ask the respondents about the candidates or their candidature. Gain insights from the public about their voting views to draw a conclusion about attributes of a specific population. A list of questions can be asked to the public, the answers of which are analyzed for either the entire target population or a sample randomly selected from this population. Traditionally conducted verbally or using ballot boxes and also electronic clipboards in the recent past, voting polls have slowly evolved to the latest online mediums. Statistical methods are being invented to implement voting polls via online mediums such as social media or blogging websites. Benchmark Voting Poll: The primary voting poll conducted in the campaign is called the benchmark voting poll. Generally, it is carried out either prior to the candidature being filed or right after it depending on the funds they collect. Irrespective of whether the campaign is political or not, benchmark voting polls serve multiple purposes. Every candidate gets a clear understanding of their stature in the voting race before putting in any efforts in campaigning activities. Depending on the outcome of these polls, a candidate can refrain from applying for candidature, if the results aren’t in their favor. Candidates can know what the electorates who will definitely vote for them and also those who will not vote for them. According to these classifications, candidates know those voters who can be easily convinced to vote for them and also can be a guide to preparing their slogans and messages for their electorate. Brushfire Voting Poll: This voting poll method is conducted between benchmark and tracking voting polls. The frequency of brushfire polls depends on the budget of the campaign and also on the intensity of competition. The main focus of this voting poll will be how many people are likely to vote for a candidate. Candidates get to know the progression made in the election campaign along with the demographic information about electorates who will definitely vote for and against them. This voting method can be instrumental in judging which messages and slogans are working well for candidates and also their direct competitors as candidates can take a poll to obtain insights about what the competitors have to say about them in their propagation has any offensive messages. Candidates can take time to prepare their strategies to fight such competition. In this method, a lot of candidates usually force central challengers to give up and join a stronger candidate. Tracking Voting Poll: Also called the rolling poll, responses are collected frequently across multiple time periods. The results are analyzed using the moving average method of the feedback most recently collected, for instance, in the last week or 10 days. There are four main types of errors in voting polls which have been developed over course of time which need to be solved to have almost flawless results from the polls. Voting polls are usually sent out to a sample from a population and it is highly probable that the results obtained from this sample may be skewed. Margin of error is the difference between a sample and the entire population. Opinions of a sample may be slightly different than what the population would say. Margin of error is reduced by calculating the poll response averages or conducting a poll with a larger voting population of around 500-1000 members. There are instances where the respondents ignore the poll via multiple mediums, such as face-to-face or online. In the recent times, this rate of response has been reduced to 10%. It is not possible to get results from this 10% of the population which will represent the entire population and the results achieved will be highly biased. A lot of respondents tend to answer a poll uninterestedly and this can cause response bias. Respondents answering voting polls conducted to understand sensitive factors such as ethnicity or race will mostly not submit their true thoughts and opinions. The voting poll question formation, the intent behind asking a particular question and the order of asking those is very important. If a candidate is shown more love and support if he/she is projected to be a “good leader”. This can lead to respondents favoring those candidates who truly are not capable to perform according to the expectations. Error due to the usage of specific words can be minimized by rotating the questions among the same population or creating different sets of questions and dividing them within the entire population. The chronological order of the following questions can define the success of a voting poll and the impact of the answers too. In this election, which candidate would you vote for? Are you satisfied with the current president’s performance? Are you inclined to vote in the midterm Congressional elections? It is crucial to understand which sections of the public are highly likely to support a candidate and the sections which are against them. Insights about a particular topic can be achieved using voting polls by obtaining the perspective of the respondents. Voting polls are also vital for people belonging to different demographics in understanding one another. There is a section of the society which has almost no access to various media sources and voting polls can be key for them to express themselves to try and be a part of the change. 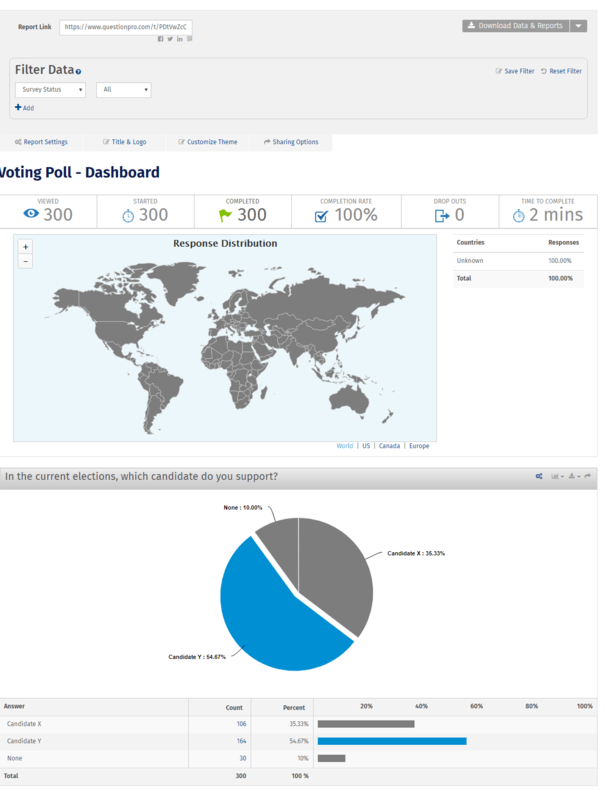 With poll softwares such as QuestionPro, an electoral candidate can create polls in minutes. 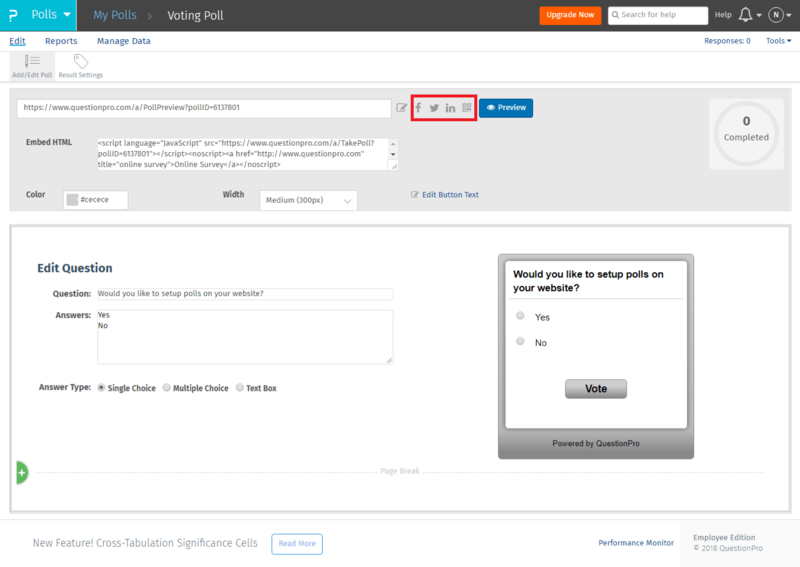 Here is a step by step guide on creating a poll with this software. Create a QuestionPro account and login. After the candidate logs in, he/she should click on the “Create a Poll” button. Assign a name to this poll. Once the poll has been given a name, a dashboard will appear which is where the poll question can be edited. This poll can then be sent via social media such as Facebook, LinkedIn or Twitter, QR code or embedded on the website. 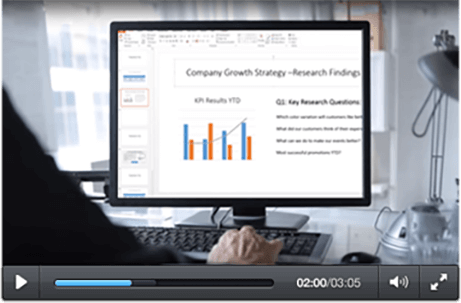 Results can be analyzed in real-time from the “Reports” dashboard.